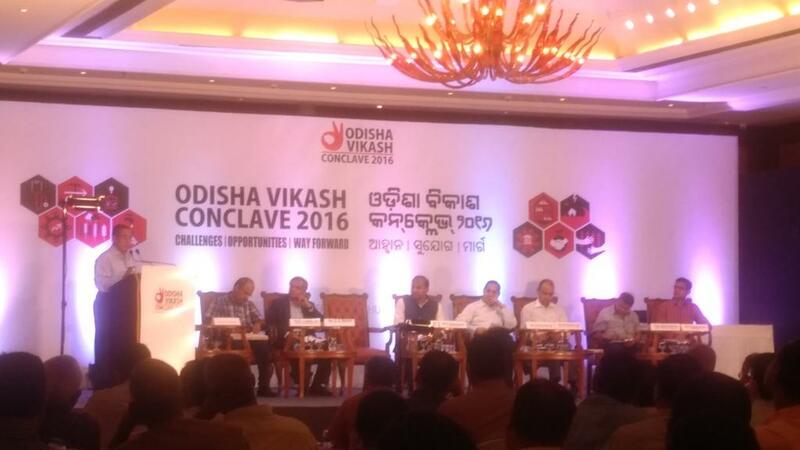 The 3 day long Odisha Vikash Conclave 2016 which has started from Monday has concluded on Wednesday. In this occasion, the Union and state ministers, bureaucrats, corporate leaders, intellectuals, development activists and eminent people debated on various social issues. The conclave was primarily focus on issues like, Tribal Empowerment and Development, Rain Fed agriculture, Employment Skill and Migration, Food and Nutrition Security, Health, Water, Sanitation and Hygiene, Disaster and Climate Action, School and Quality Learning, Inclusive Governance, Fiscal Management and Social Accountability. While addressing the conclave CYSD member secretary and the chief organizer of the conclave, Mr Jagadanand said, real development of Odisha will be possible only when people who have deprived of all rights will avail all socio-welfare benefits. Speaking in the occasion, Niti Ayoga vice chairman Dr Arvind Panagariya said, such deliberations would not only benefit Odisha but other states, as well. In the concluding ceremony of the conclave, Odisha industry, school and mass education minister Debi Prasad Nayak have also attended the programme.